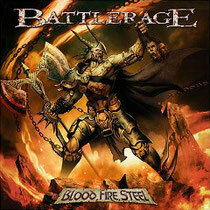 One of a song from the album BLOOD, FIRE, STEEL by BATTLERAGE was airplayed on a radio program ROCK OR DIE in July 16, 2010. 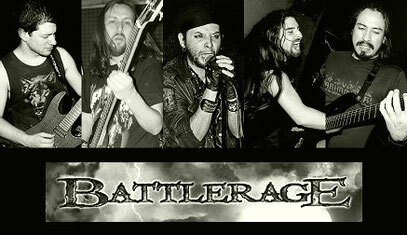 They are a heavy metal band in Chile, South America. It was formed in 2002. Although they have changed members so far, they have gigs over there. The 3rd album as LP called BLOOD, FIRE, STEEL sounds like three sacred treasures of Metal was released by Metal On Metal Records in 2009. That is the great album ever. You can also tell the cover artwork by Gonzalo Ordonez is fantastic. In Japan, it is available at amazon.co.jp .